Posted November 30, 2018 by Andrea Laford & filed under Headlines, News, Spoilers. According to Mandip Gill, as interviewed in Radio Times magazine, the plot of the Doctor Who New Year’s Day Special doesn’t explicitly revolve around the new year. Curiously, the synopsis released by BBC Studios does mention the new year but the special will cover a great deal of Earth history, not just New Year’s Day 2019. Even more curious is the editor’s online CV identified the episode as “DOCTOR WHO Christmas Special”. 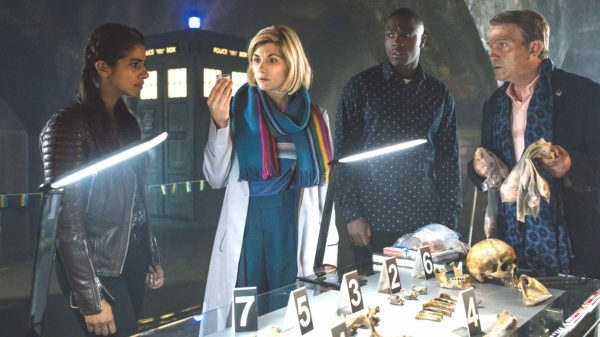 Written by Chris Chibnall and directed by Wayne Yip, the actual title of the Doctor Who New Year’s Day Special has not yet been revealed despite the release of the above brief synopsis and a few photos from the episode. 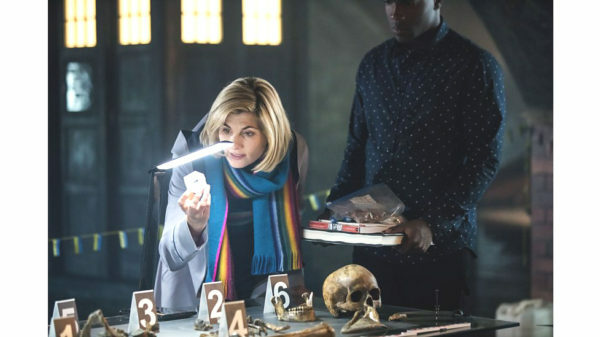 Two photos released depict the Doctor and her friends examining human remains from early Anglo-Saxon history. Daniel Adegboyega guest stars as Issac Sinclair, possibly Ryan’s father.